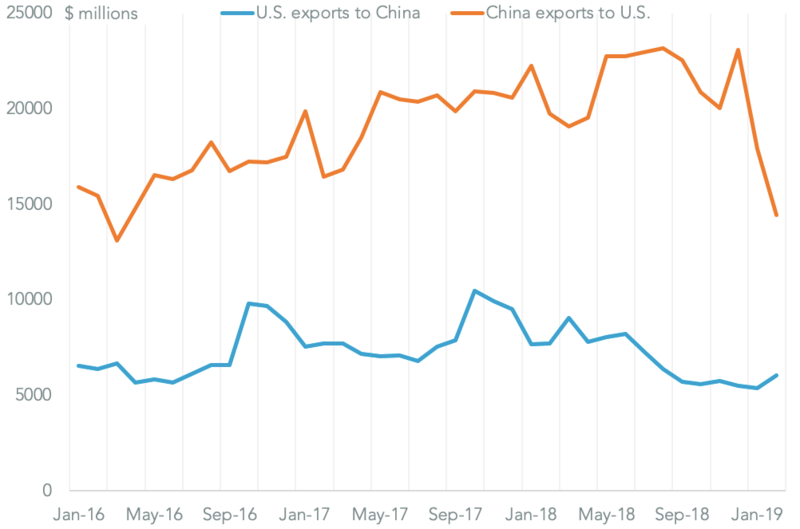 The U.S.-China trade war reached something of a peak in September with the implementation of 10% duties on around $200 billion of Chinese exports by the U.S. and 5% to 10% duties on $60 billion of U.S. exports by China. As outlined in Panjiva research of Sept. 18 that came on top of 25% duties on around $50 billion applied in July and August. So far it appears that the impact of China’s duties is more significant than America’s. 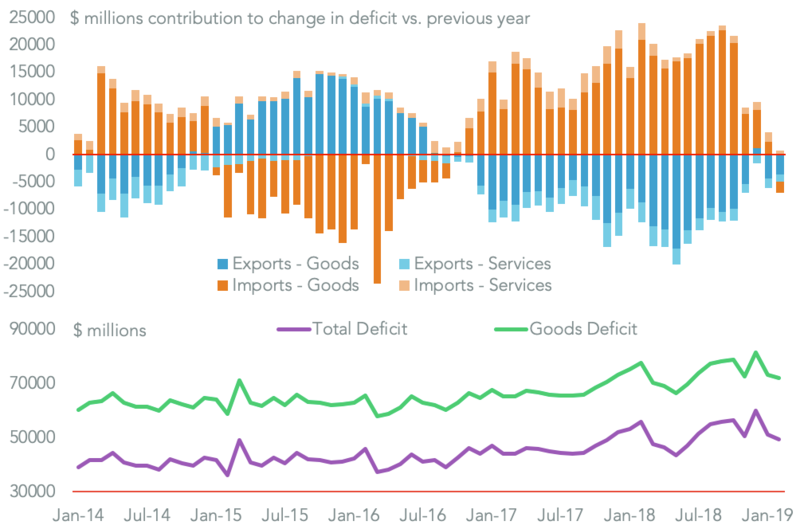 The widening of the U.S. trade deficit – the Trump administration’s key trade metric where a larger number is perceived as a negative outcome – to a record $40.2 billion in September is one piece of evidence. 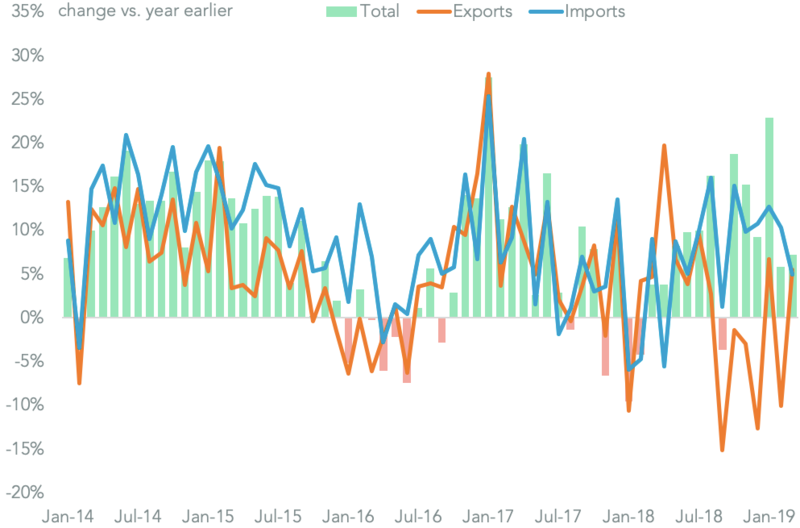 The other is that a marked downturn in U.S. exports of the products covered by Chinese duties where list 1 and 2 relate to the July and August products and list 3 to September’s. 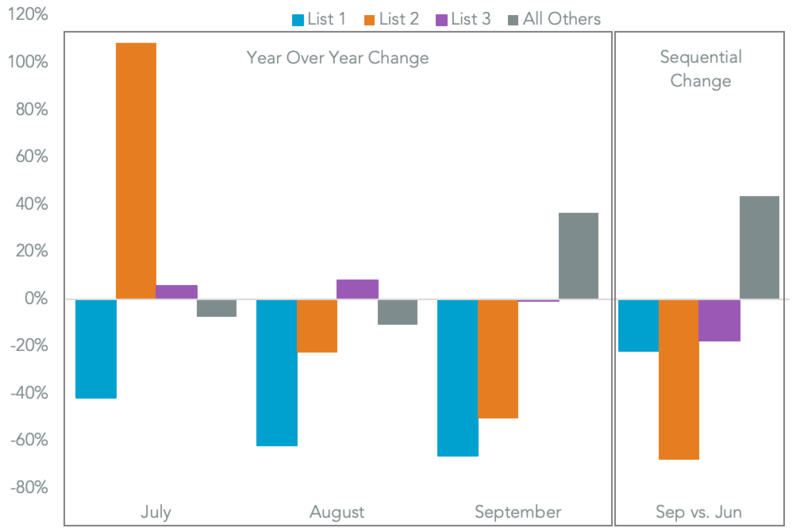 Panjiva analysis shows U.S. exports of list 1 products fell by 66.3% in September vs. a year earlier while those of list 2 products slumped 50.3%. 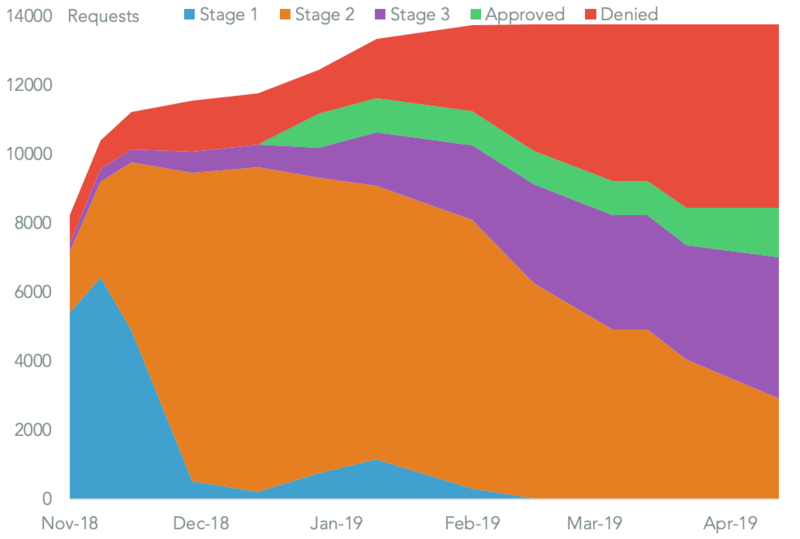 The list 3 products fell by a more modest 0.7% though that came after two months of growth (5.8% and 7.9% in July and August) and duties only took effect from Sept. 24. May see further decline though 10% vs. 25% in NY. Also surge in remainder +36.7% possibly on concerns of further extension of duties. Both higher duties rates and extended product coverage are potential risks depending on the forthcoming summit meeting between President Donald Trump and President Xi Jinping, scheduled for Dec 1. according to Politico. The total drag on U.S. exports from the products covered by the new duties in September vs. a year earlier was $2.18 billion. While the decline were wide-ranging only a handful of products represent the majority of the decline. 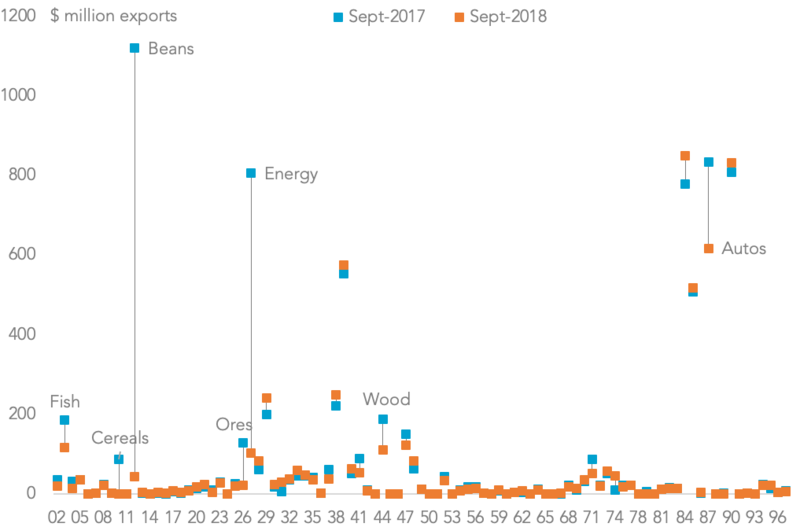 Panjiva data shows that those include soybeans (down $1.07 billion, down 97.8% on a year earlier), crude oil ($429.0 million with no exports on September) and propane ($194.0 million lower, off 91.6%). 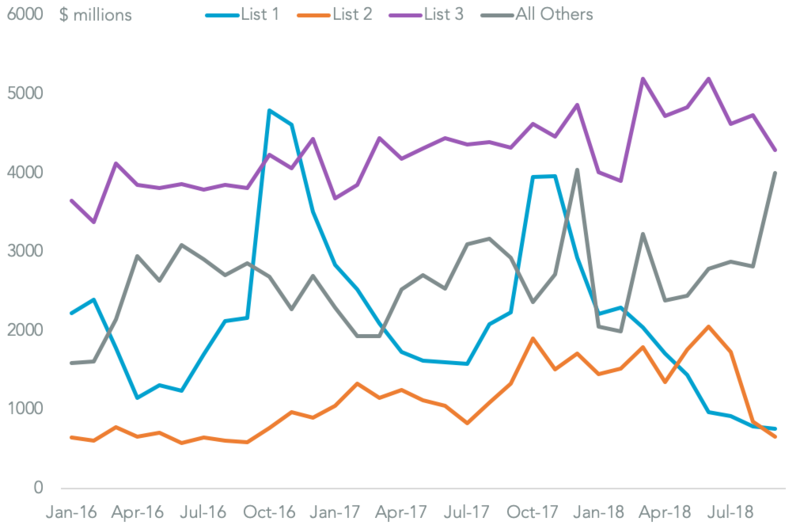 Outside of commodities – most of China’s list 1 and 2 duties are focused on energy, materials and food – the biggest loser was the automotive sector with a $216.0 million drop including a 31.7% drop in exports of passenger cars.